A new range of delicious iced tea options have just hit Trang Hue Vietnamese and the team are very excited for the Orange community to come and try them. An exciting time for most kids and parents is that feeling of heading back to school after the Christmas holidays. 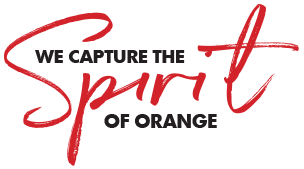 Check out what is happening in Orange over the next few weeks. Live music continues in Canowindra at the Bowlo with special guest Daphne Brooks singing the night away on February 3 from 3-6pm. On March 3rd, John Spicer's Mechanical Repairs will present ‘Opening the Conversation with Swanee’, this gourmet BBQ, interactive Q&A and live auction is designed to help remove stigma associated with mental health, mental illness and addiction, by sharing stories and normalising the conversation. Pavarotti I am not. In trouble again for singing, I am. Nicole is the Centre Manager at Orange City Centre, a position she’s held for almost 5 years and one she thoroughly enjoys. As you know the new school year is upon us and for many it can be a very stressful time financially. By the time you buy new shoes, uniform items, books, not to mention a tablet or laptop that most schools now use, the dollars begin to add up big time. There is more than meets the eye to 17-year-old Jasper Mihalich (and that’s not just because he carries a large instrumental case around with him). Jasper is a very talented musician, he teaches and plays the Tuba here in Orange. I grew up on the Central Coast with my Mum and Dad and two older sisters. I went to Saint-Edwards college which was an all-boys high school and then progressed to study primary school teaching at University. Jan 30 I have an idea! Put Orange First is the theme of our magazine's Community Project this year and just to recap, in case you've missed the earlier publicity, one thing I'm trying to do is encourage us all to respect, encourage and support small business owners in Orange a lot more than we appear to. Pair this main meal with an entrée favourite, prepared fresh and hand cut; Salt and Pepper Squid noodle salsa. Cyber Security has become such an important factor in today’s society with many hoaxes, scams and identity theft occurring.